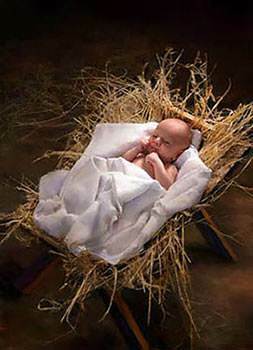 When you look at pictures of Baby Jesus, do you ever wish you could have seen Him in the manger-cradle, on His bed of hay? The land of the East was a long, long way from Bethlehem, where Jesus was born. It was so far away that it would take many days of riding on camels to reach Him. 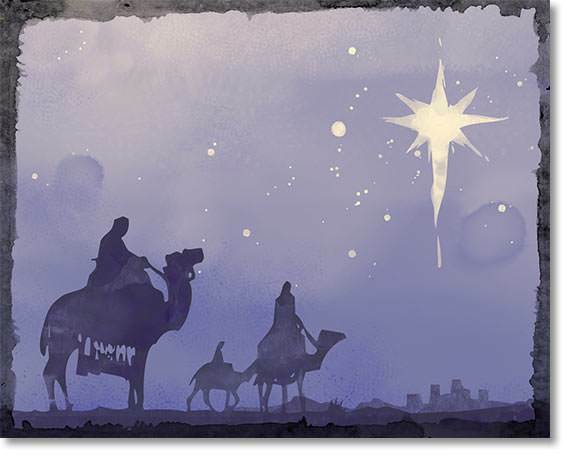 The Wise Men loved to go out at night when the sky was full of stars, and watch them. They were so wise that they knew the names of many of the stars and where to look for them. One night they went out together, and they saw a star that they had never seen before, and the new star was very beautiful. They looked at it a long time, but they did not know its name. Several nights they went out, and looked at the star. 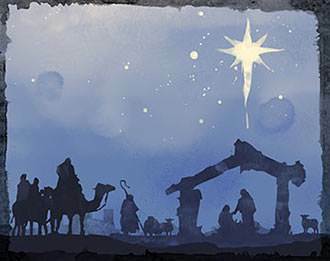 Then they said to one another, "Surely this star means that a King is born." 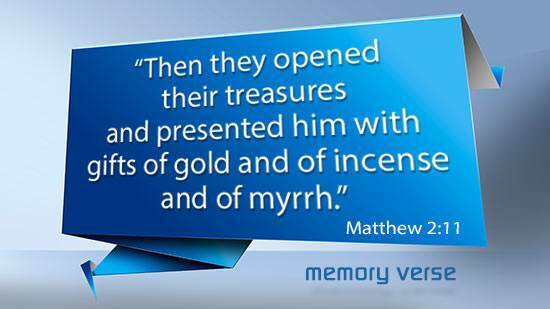 One of them said, "Do you remember, a king was promised long ago in the land of Judah. Perhaps this star is a sign that He is born just now." "Yes," they all said. "Let us follow the star and look for Him." They hurried home and got ready for the long journey. They packed food and water and tents and sleeping rugs. They chose splendid presents to take to the Baby King. Then they set off over the sandy desert. 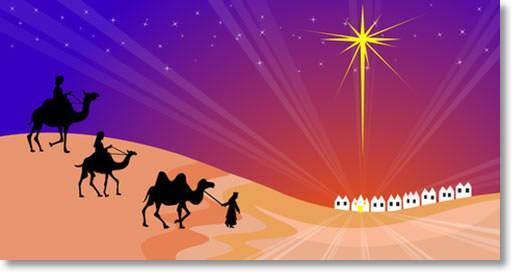 It was a long, long way, but at last they came to Jerusalem where they thought the King would be born. 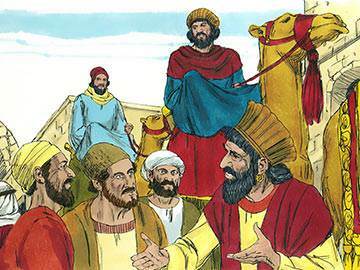 "Where is He that is born King of the Jews?" 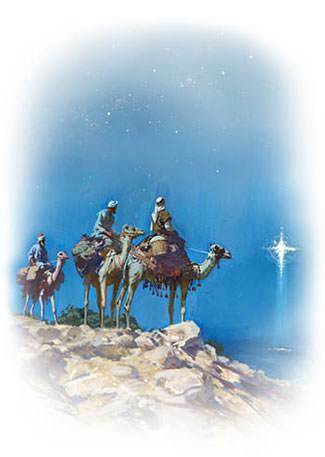 they asked, "for we have seen His star in the East, and are come to worship Him." 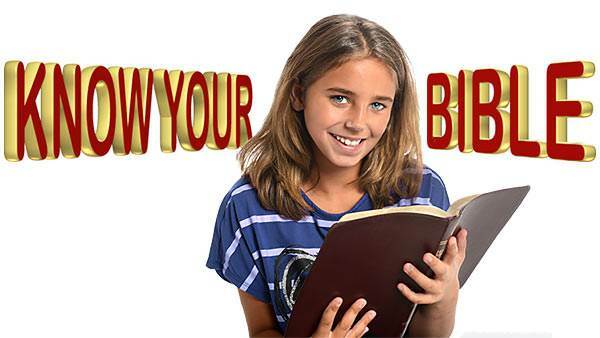 The teachers in Jerusalem looked in the old books and there they read, "The King will be born in Bethlehem." 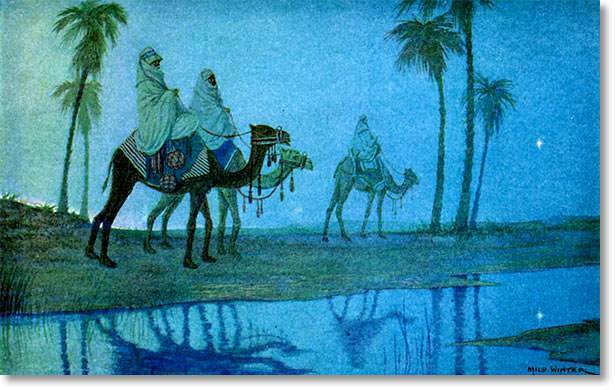 They told the Wise Men, who set off for Bethlehem. In an hour or so they reached the city and found the little house where Mother Mary watched over the Baby Jesus, and where Joseph looked after both of them. It was evening, and the star they had seen in the East seemed to rest over the little house. 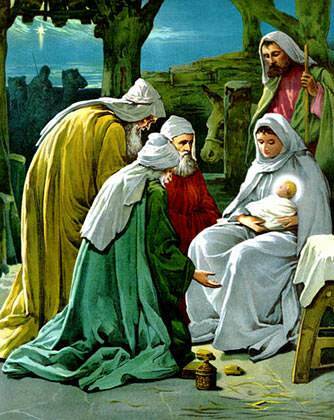 They gave the Baby their gifts, and knelt down and worshipped Him.